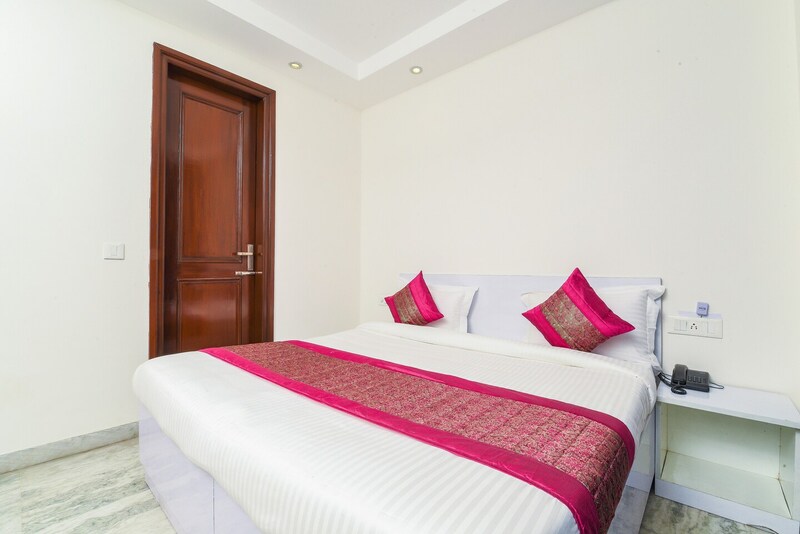 Golden Crystal is a classy and modern property with bright and comfy rooms, located in Sector 19, of Dwarka, Delhi. It is near B Blocks DDA Park. The property is not far from Jaggi Green Garden and Khatu Shyam Ji Mandir. The property boasts of spacious and cosy rooms with bright white walls and dark wooden furniture. Vibrant drapes and bed linen add liveliness. The bathrooms feature stylish tiles and the latest in fixtures. There is also a conference room which can be used by the guests for meetings. All the rooms of Golden Crystal are equipped with a television, a queen sized bed, an air conditioner, and a seating area. The property offers free Wi-Fi, power backup, and CCTV security to its guests. Food joints that are close to the property include Pasta Xpress, Crazy Forks, Choc-A-Bloc, Desi Kitchens and Chaiyum.